Atlanta, GA. 20 October 2016 – Following the success of his acclaimed album, Us or Else, T.I.P is slated to launch a website at midnight to continue to spread his message of revolution. With the constant rise of police brutality taking place within the African-American community, T.I.P. has sent out a call of action to other artists, activists and fans nationwide with his #UsorElse movement. On this site, you will be able to purchase an #UsorElse hoodie which features a charred-like image of the American Flag along with the powerful message. 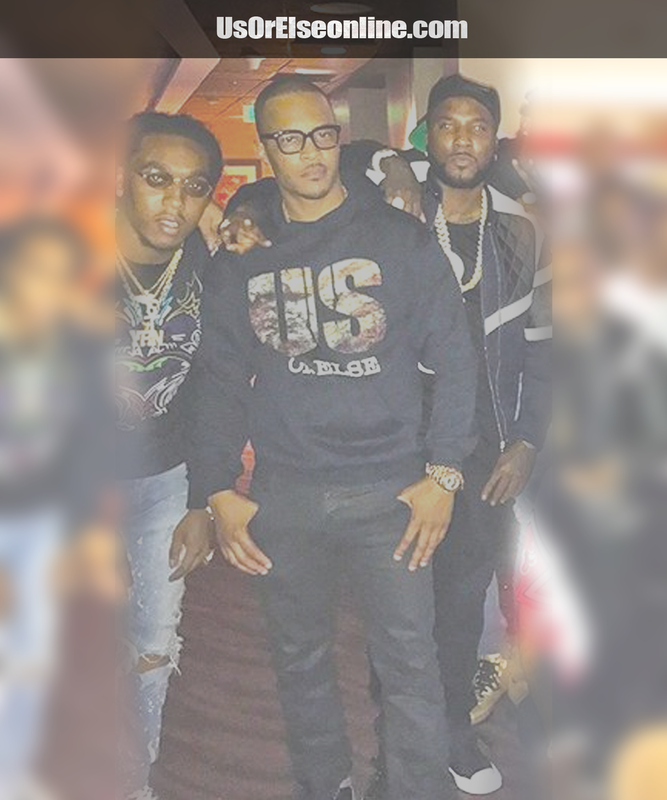 Fellow rappers such as Young Thug and Quavo of The Migos have also been spotted rocking the apparel, joining T.I.P. in his movement to bring awareness to the social injustices. Make sure you visit usorelseonline.com to purchase your hoodies today.